I am looking for any photos or information about Commander Patrick Harrington Edwards DSO and bar. I know that he was born in Wandsworth in 1875. Enlisting to join the Royal Naval Volunteer Reserves on 1st October 1914 he saw action in Gallipoli in April 1915 with Howe Battalion, Royal Naval Division. A year later he was wounded during the final stages of the 1916 Somme Campaign at the Battle of Ancre in November 1916. He was again wounded during the Zeebrugge raid on 23rd April 1918. On recovering from his injuries at Zeebrugge he served in Russia with the Russian Allied Naval Brigade where he received DSO and bar. Please contact me at: Paulkendall291@aol.com. At NA KEW the RNVR Officer Alpha Card Index is at ADM337/111 (Dobie to Halder) and Officer Service records begin at ADM337/117 (from 1914) up to ADM337/1278 (from 1918 to 1922). Many thanks for your help. I have already obtained a copy of Commander Patrick Harrington Edwards service record from the Public Records Office. I am very pleased that you have looked at this forum thread and that fellow members are also looking. Hopefully in the near future information may appear that will lead me to his family and a photo of this brave man. Many thanks for your help. I do have a copy of Douglas Jerrold's History of the Royal Naval Division and I have noted that Patrick Harrington Edward's was wounded at the 3rd Battle of Krithia. I am pleased that members are looking at this thread. Thank you so much for interest. Paul, Edwards' original RND Record Card is held at the Fleet Air Arm Museum but you may have already obtained a copy from TNA. However, the FAAM also has the pay ledgers of RNVR officers, which may yield some additional information - even if it is only his tax bill! Many thanks for your help. I visited the Fleet Air Arms Museum archives last year. It is a very good archive. I was researching one of the sailors who took part in the Ostend raid and found amongst his attestation papers his references from previous employers. His descendants now live in New Zealand and they were thrilled when I sent them this information. EDWARDS	Patrick H	N/E	Cdr. 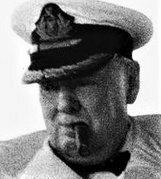 RNVR	79D128	Vindictive	Vice Admiral Dover 23.07.18	N/E	Operations on Belgian Coast 23.04.18 Zeebrugge & Ostend	M in D	His services proved most valuable in the Training of the Naval Storming Party, with whom he volunteered to accompany in the attack on the Mole. He was severely wounded before "Vindictive" arrived alongside the Mole. I am looking for any photos or information about Commander Patrick Harrington Edwards DSO and bar. I know that he was born in Wandsworth in 1875. Enlisting to join the Royal Naval Volunteer Reserves on 1st October 1914 he saw action in Gallipoli in April 1915 with Howe Battalion, Royal Naval Division. A year later he was wounded during the final stages of the 1916 Somme Campaign at the Battle of Ancre in November 1916. He was again wounded during the Zeebrugge raid on 23rd April 1918. On recovering from his injuries at Zeebrugge he served in Russia with the Russian Allied Naval Brigade where he received the DSO and bar. Any information or leads would be appreciated. I would also like to get in contact with his descendants. Paul ; EDWARDS Patrick Harrington - did he have a brother also Lt.Cdr RN Harrington D Edwards ??? In recognition of his valuable services of the Commanding Officer of the Russian Allied Naval Brigade. He has done very good work under very difficult circumstances. Hi Paul. Patrick Harrington Edwards was my GG Uncle, my Nan remembers her uncle as being a real character! Patrick lost 2 brothers in the war Trevor Louis Edwards and Victor Lawrence Edwards.